As smartphone models get smaller and thinner while offering even more functionality, the strength and longevity of its internal battery becomes the linchpin that makes or breaks it. 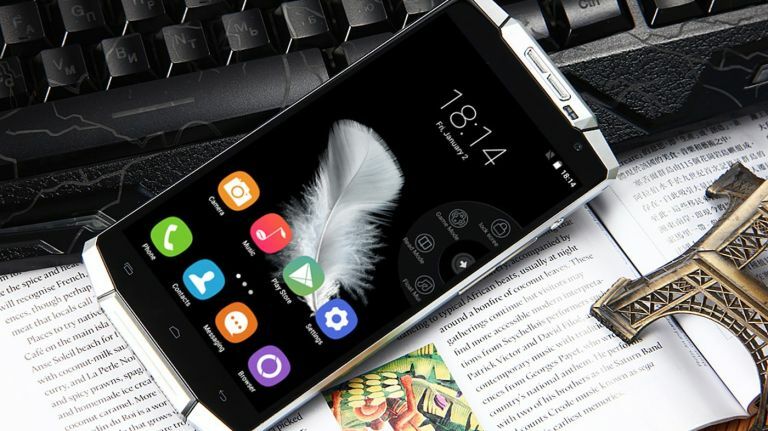 And for Chinese electronics manufacturer Oukitel, nailing a device with the most reliable battery yet has become its primary focus - something it's managed to realise with its latest offering, the K10000. According to Oukitel, the K10000's 10,000mAh (hence the name) internal battery is one robust bit of kit, offering ten or more days of 'normal use'. Of course, if you spend most of your time watching chilling with Netfix on your phone you'll probably severely reduce that ambitious figure - but for those looking for a smartphone that's always ready and available, this could be quite the selling point. Should Oukitel's claims prove true, there's still the inevitable concessions elsewhere to account for that big boy battery. A cursory glance at the K10000's specs doesn't exactly scream technical powerhouse - aquad-core 1GHz MediaTek processor, 720p (if 5.5-inch) screen and an 8-megapixel rear camera aren't going to be troubling Apple or Samsung anytime soon. Still, if beefy batteries are your thing, this is one to watch.